In this 100% unofficial guide, we will give you all the friendly advice you need to succeed in Clash of Clans, without spending a real-world fortune. From absolute beginners to seasoned Clashers, we have got stacks of guidance on building unbreakable base camps, huge stockpiles of resources, and winning battlefield tactics. We give you a day-by-day guide to your first week, showing you how to master the basics without rushing in and ruining the game before you have even started. We will also detail all you need to know about the dozens of buildings, weapons and troops you will find in the game. We will also show you how to become a valuable clan member, and give you the expert advice required to lead a clan of your own! 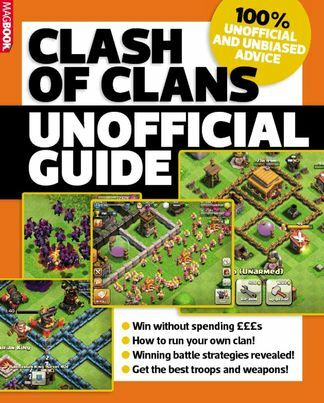 Be the first person to tell us what you think about Clash of Clans: The unofficial Guide and you'll save $5 on your next purchase!